You can make such a vase by hand. 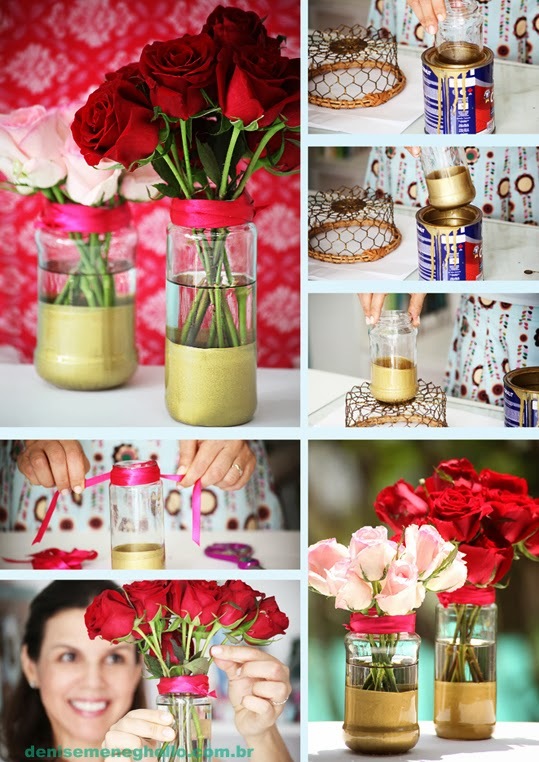 You just need to paint the bottom of a jar. Then you can tie a colour tape to its mouth and your simple vase is ready. It is suitable not only for roses and is perfect for decoration.